Our projectsThe different projects you can participate in. Chapter 4. 9 Septembre 2016 – Une saison à Husö. That’s it, the sampling season is ending. It is a great time to give you some news. You surely noticed that I was very absent from social networks this summer. I spent two and a half months on the island of Åland in the middle of the Baltic Sea. Why exactly there? 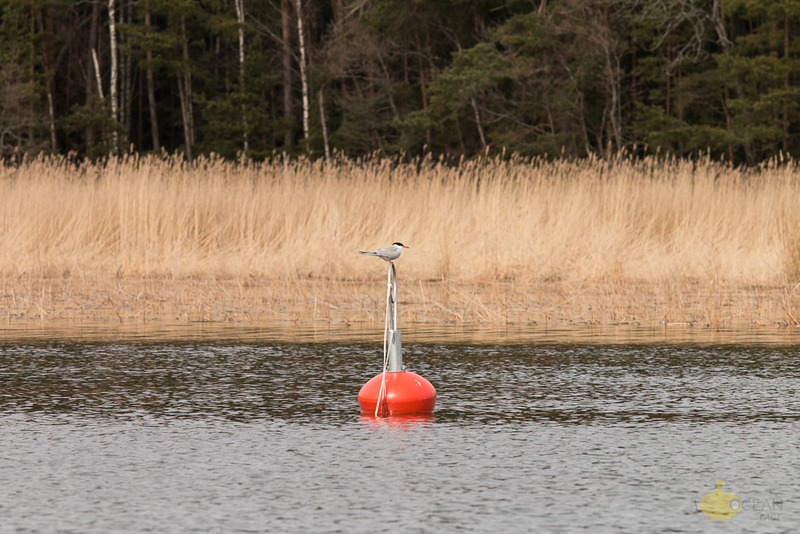 On the one hand, Åland is home to a fairly wide variety of species (for the Baltic, which is relatively small compared to the rest of the world), both terrestrial, lacustrine and marine in coastal areas. On the other hand, there is a marine biology station: Husö. If you want to pass the scientific postulate that will follow, go straight to section IV. Otherwise, feel free to read the full article. The cornerstone of my thesis is to build a new type of trophic network. But now I feel like I lost you already. Let me dissect this terms “Trophic network”. First, we have “network” which in this sense means “relationship” (how a group of friends is connected to another group of friend, what are the relationships in common … etc). The second important word is “trophic“, i.e. food. To sum up, a trophic network, also called “food web” is a representation of the dietary relationship between species, in other words, ‘who eats whom’ in an ecosystem. This network represents the flow of energy that flows from prey to predators and how this energy spreads from species to species. A simplified version that you may have already heard about is the food chain: a linear chain of relationships that represents the energy flow from a producer (a plant) to a top predator (a predator at the top of the food chain that has no predator; not forgetting the intermediate species: herbivores, carnivores). This kind of representation would be to simple to represent accurately the reality. Indeed, in nature, at a given place and time, there are several producers, several herbivores, several predators that interact. So there are multiple ways to get from a producer to a top predator. All of these pathways, all of these food chains, form the trophic network. Now that you know a little more, you probably start to imagine how tremendous and fastidious the collection of food web is. You need to know all the species present in an ecosystem and their diet. One should not hesitate to go fishing and collect many times to hope to sample the rare species or to have enough sample to brush a good representation of the diet. “Nightfall” – Finnish archipelago Saaristomeri. Åland island – Credits : © Pierre Olivier, Ocean Fact. For invertebrates, usually rather small size in the Baltic Sea, it is difficult or impossible to have an empirical approach (i.e. to observe what they eat). As a consequence, we use indirect indicators such as stable isotopes (i.e. radioactive chemicals) or fatty acids (i.e. lipids). These radioactive isotopes are found in decreasing proportions from the prey to the predator. 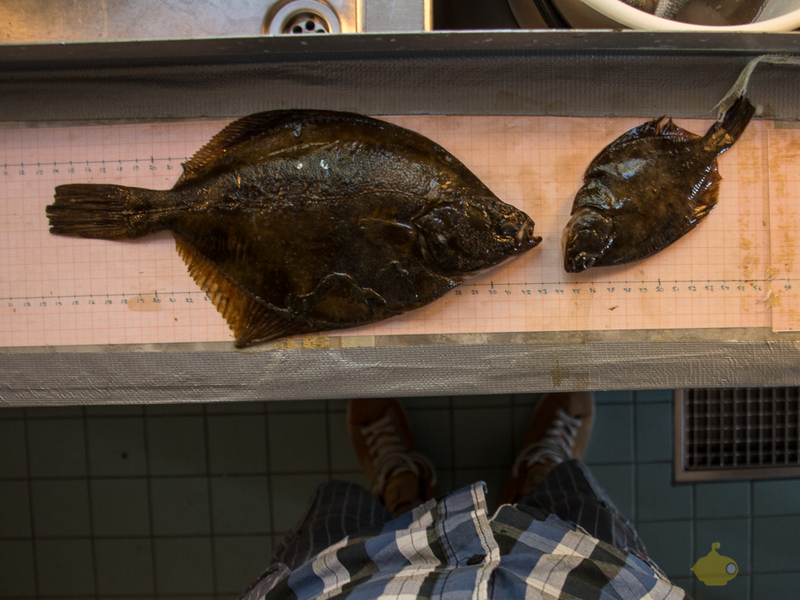 Their nature and proportions allow us to trace the food source and to place the consumer within the food chain. I will come back to this topic in a more detailed article. Unlike invertebrates, it becomes easier with fish. We use stomach contents. In other words, we look at what is in the stomach of those fish. In order to do so, “in theory”, you only need to open many stomach, identify the remnants of digested species and count the different individuals of each species. In fact, in practise it is tricky because most of the time the prey are well digested. You need to sample enough fish to make sure you identify every prey and hope that some individuals will be less digested. 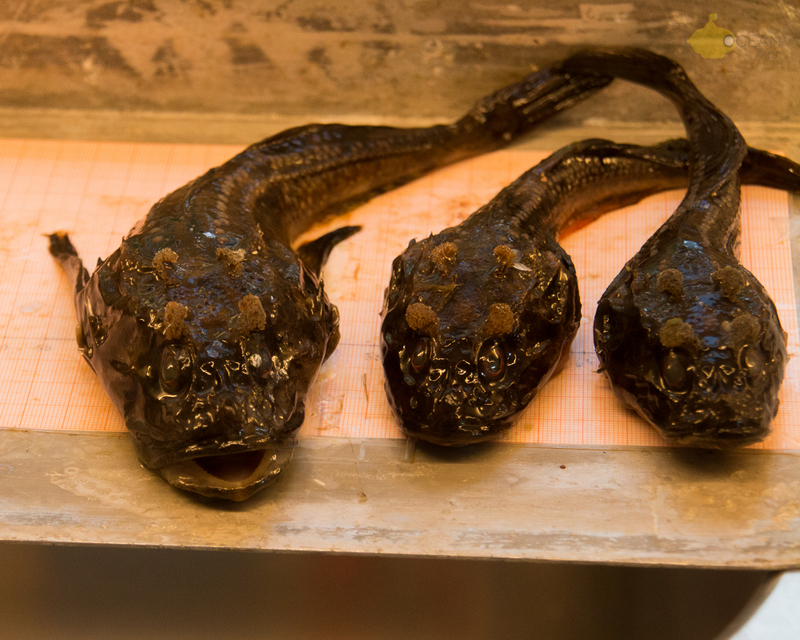 At the end of the season we got more than 600 stomachs of fish which I am now analysing in the lab. For sensitive souls, you can pass the spoiler below which contains some pictures of the fish I observed (dead obviously). We must be honest. There is plenty of food web representations available for the Baltic Sea. The innovation lies in combining multiple approach: food webs and species traits. My PhD project should bring many answers to some theories in ecology (at least, I hope). The traits correspond to each characteristic of an individual of a species. For example, we measure its length, its mass, the surface of the fins for a fish, if it has a shell for an invertebrate, if it is soft, if it has protections, if it migrates, or even where it lives in the water column. We believe that these characteristics influence the structure of the food web (why this species is linked to another? etc.) and can inform about the function of organisms within the ecosystem (i.e. their role and their importance within the ecosystem). By combining these two approaches, it may be possible to understand how the structure of the network contributes in maintaining major functions of the ecosystem (e.g. resilience i.e. how an ecosystem can recover after a perturbation) or how the loss of keystone species can damage the structure of the network and lead to the loss of an essential function in the ecosystem, for example. Let’s move on to what you’re interested in: how I’ve been busy this summer. 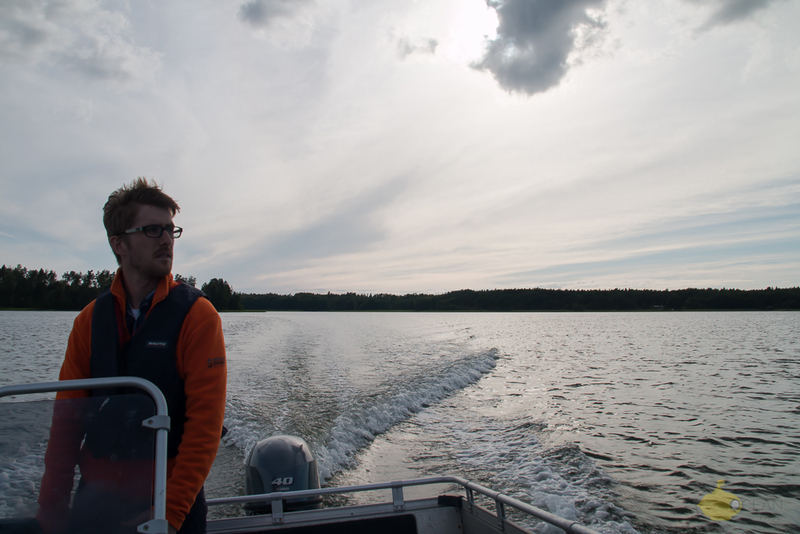 Apart from the long days of sampling between wind and rough sea days, diving and lab until late at night; I was able to take a stroll on the Baltic Sea and the island of Åland. With good friends around, I participated in Saint John’s Eve (a.k.a. 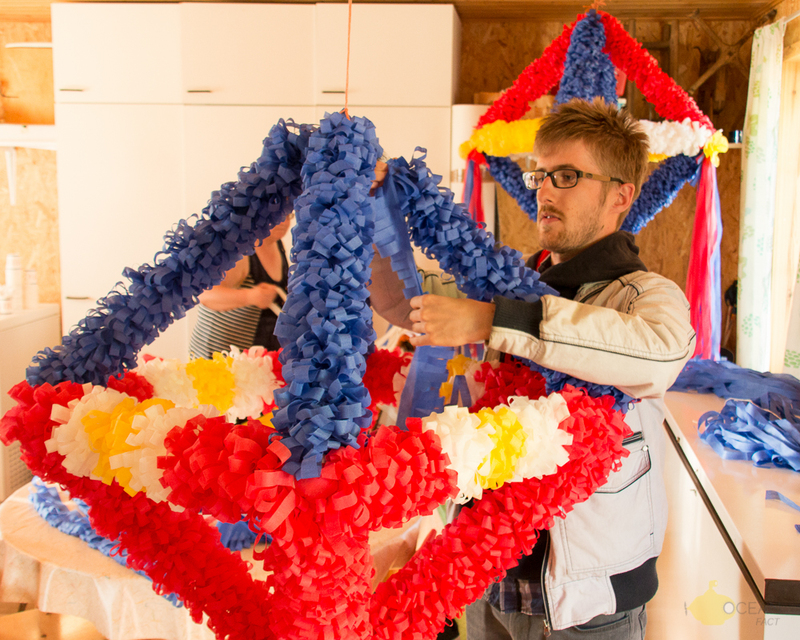 Midsummer or Midsommar, in Swedish) and the building of crowns of the Saint John. A pretty big event here. Nevertheless, the most atypical experience was the sauna (a real Nordic sauna with ventilation and air circulation). I can already tell you that being in an enclosed “wooden box”, naked, with friends, at more than 90 ° C, you need to try this at least once in your life. Even more if the next step is to throw yourself in the Baltic. The thermal shock spreads like a wave on the surface of the skin and you can truly feel the temperature difference of almost 80 ° C (yes, the Baltic Sea is rather cold … or the sauna is rather hot, depending on the viewpoint). I had the opportunity to practice my Swedish as well, still as bad (nevertheless, I started a course for beginners in September and if you are interested in Swedish and you master a minimum of English language, I would recommend the website Duolingo). Saint John’s crown – Midsommar – Åland Island – Credits : © Pierre Olivier, Ocean Fact. 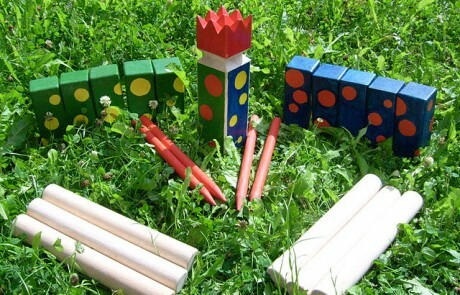 The mölkky which looks like a mixture between “pétanque” and bowling but with sticks. 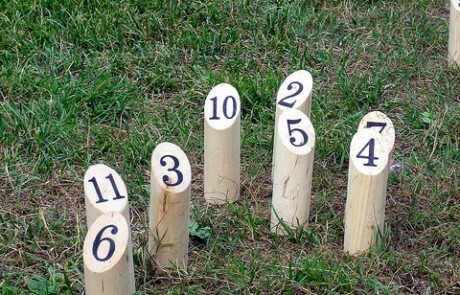 The aim of the game: to knock out numbered sticks and reach a certain number of points. It sounds simple in theory… but it is not. The kubb looks like petanque and pool (maybe). You play in two teams facing each others. Each team tries to make the other team sticks fall and there is a big stick, the King, in the middle. The king would be the black pool ball. If the King falls before you got rid of all the sticks from the opposing team, you lose the game. The goal for each team is to clear the opposing pins first and then the King (to make it short). When you lose a pin, it gets even worse for your team. You have to throw the lost pin in the space in front of you but before the King area. You need to get rid of this pin before to attack your opponents again. Of the two games, it is the one that asks for the most strategy and the one that I liked most. Bonus: (i) a DIY link to make your own set of Kubb; (ii) Lots of pictures of people playing at Kubb! Last big event that marked the end of the season: The Crayfish party. Everyone had a lot of crayfish to share and the evening was sprinkled with homemade Snaps (a.k.a. Schnaps). On top of that, we were singing songs that invited you to drink. 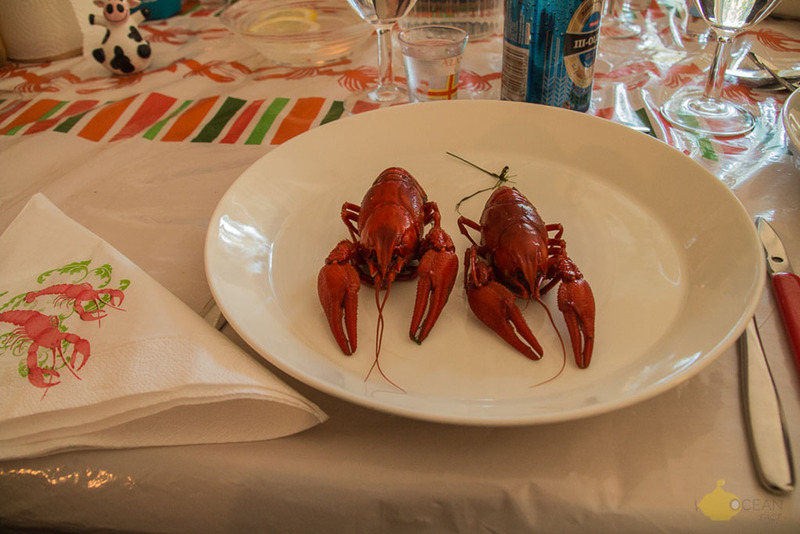 We were wearing small hats with the Ålandish flag or with bright red crayfish. The evening ended with a karaoke. Everyone was happy and we forgot about the bad weather. I am back in Turku but soon I would go to Hamburg to meet with FoodWeb experts. I’ll keep you posted. As usual, the local music. Q&A – A small fish – large impact? We regularly use online Google Spreadsheets (i.e. excel files) to connect with our contributors. We do not share those data with third parties or anyone but those addresses are nonetheless accessible to whom have the link to these files. If you fill in these forms, we consider that you are aware of their online accessibility and that we may use them to contact you for Ocean Fact related purposes or that spammers may access these addresses. If that is an issue, we advise you to remove the current email and use another email address.